Hard boiled eggs become easier to peel with practice. 3 How Long After I Cook Hard-Boiled Eggs Are They Still Good to Eat? Hard boiled eggs make a quick, light and nutritious breakfast, but peeling them can be messy and tedious. An efficient method involves quickly cooling the eggs when they're done to stop the cooking process; this also creates a layer of steam that helps separate the egg white from the shell. After hard boiling your egg, cool it under cold running water. 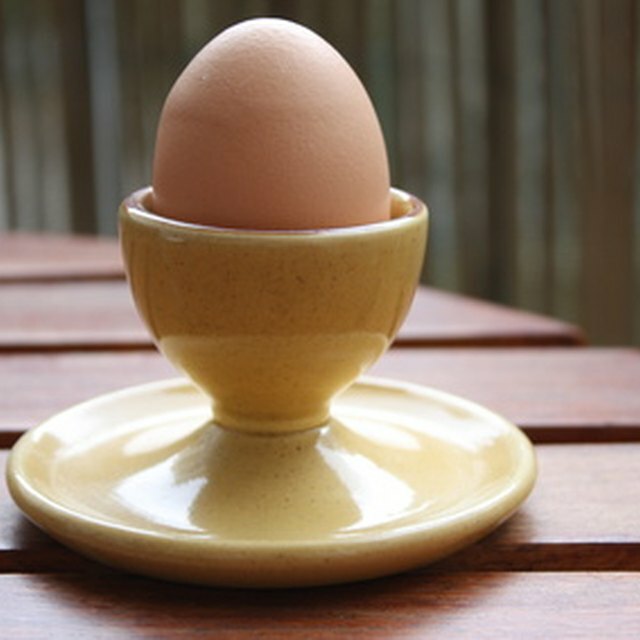 Crack the shell on a hard surface on several spots around the egg, preferably at the top and at the bottom. Gently roll the egg between both hands.This effectively loosens the membrane of the egg, allowing you to remove the shell, often in one or two pieces. My Hard-Boiled Eggs Are Soggy in the Middle: What Happened? How Can I Tell If an Egg Is Hard-Boiled Without Breaking It? What Products Contain Red Phosphorus?